With Transformers: The Last Knight getting ready to storm into theatres in just a few weeks, Paramount is already starting to get the wheels turning on the first of many planned spinoffs: Bumblee. Not too long ago, Laika CEO Travis Knight was appointed to the helm and this evening, Variety brings word that Hailee Steinfeld is being eyed to star. The plot of the spinoff, which centres on the titular robot – a firm fan favorite, might we add – is being kept under lock and key, but from what we understand, the role that the True Grit actress looks to land is that of “a tomboy who also holds a job as a mechanic after school.” Though we don’t know much more than that, it’d be foolish to expect Bumblebee’s solo outing to differ too much to what’s come before. In other words, if you can’t stand this franchise, then the spinoff probably won’t do much for you. Even with a talented director like Knight behind the wheel. If nothing else though, it should be interesting to see what the Laika CEO can bring to the table. With Michael Bay having handled the franchise up to this point, some fresh blood could make for a welcome departure from the usual offerings we get with Transformers. As of now, I guess you can color us intrigued. Not excited, but intrigued. 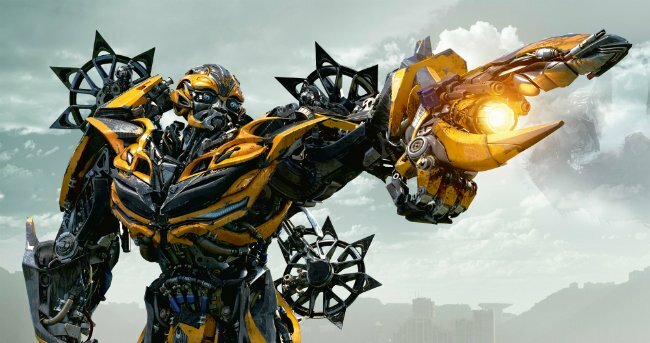 With a screenplay from Christina Hodson, Bumblebee looks to storm into theatres on June 8th, 2018. Tell us, do you have much interest in seeing spinoffs from the juggernaut series, or have you had enough of those robots in disguise? Let us know in the usual place.